Over 40,000 people from all around the world are cheering and making waves during a sold-out sports event. No, it is not the Champions League final. Actually, it is the biggest sports event of the entire year. 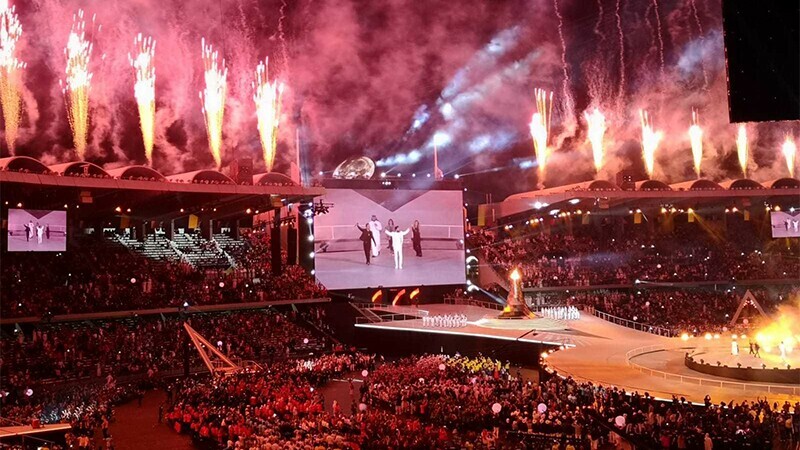 The 2019 edition of the Special Olympics World Games has begun in Abu Dhabi, United Arab Emirates (UAE), with an the Opening Ceremony at Zayed Sports City Stadium on Thursday. It is the first time that Special Olympics World Games are being held in the Middle East and North Africa region. “Think of all those who are not here. Think of your grandparents. 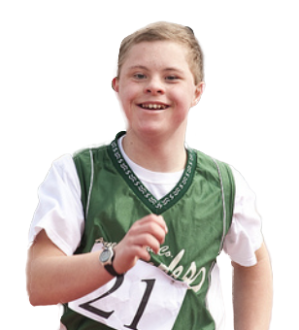 Think of the person who looked into your eyes and convinced you that you are more beautiful than you could possibly imagine,” said Special Olympics Chairman Timothy Shriver, the son of Eunice Kennedy Shriver, who founded Special Olympics in 1968. “I think they are all here. I think the founders of this great nation are here. I think my mother is here,” he added, pointing to his heart. It's been almost 10 years since Eunice Kennedy Shriver passed away, but she will be remembered forever. What began as one woman's vision evolved into Special Olympics, a global movement that today serves millions of people with intellectual disabilities. “I think she dreamed to be able to see you shining, being your best self in front of the world,” the Special Olympics chairman added. Over 7,500 athletes representing over 190 countries will compete in 24 individual and team sports—the Parade of Athletes at the Opening Ceremony lasted over two hours! The athletes were all smiles and more determined than ever. Every delegation, no matter what country they came from, was greeted respectfully by the crowd. The Qatari delegation were greeted by the public, just like athletes coming from Palestine, one of the most well received delegations during the crowd. The Saudi Arabia delegation featured female athletes for the first time since the country joined Special Olympics in 1994. “Today, with your presence and participation, we send a message to the world that nothing is impossible when there is determination”, said Crown Prince of Abu Dhabi Mohammed bin Zayed Al Nahyan. Minister of State for Youth Affairs Shamma bint Suhail Al Mazrui gave a rousing speech telling the athletes that their presence in Abu Dhabi exudes power, adding that the Games in the capital were a realization of the vision of the UAE leadership. "In 850 days, 12,644 volunteers, 305 tireless teammates, and 91 sponsors crossed their finish line, and now 6,943 of the worlds most determined athletes are spending the next 7 days crossing their finish lines," Ms Al Mazrui added. "By your blessings, you send a message to every village, every city and every nation, a message of hope, a message of victory. You are the true champions and we all are proud of you," she added. Meanwhile, fans in the stadium created a wave in support of the athletes. The wave may not be as big as the ones in the ocean, but it was still goosebump-inducing! Al Mazrui, who became the Minister of State for Youth in 2016, making her the youngest government minister in the world at 22, is an example of how female politicians have become a prominent part of the Emirati government. "It's magic to see something so close to our hearts here. Through Special Olympics, we are making the invisible visible. The elements of inclusion are all around us. Let's now light the world with the UAE chapter of Special Olympics," she said. This article was produced as part of the AIPS Young Reporters Programme at the Special Olympics World Games Abu Dhabi 2019, generously supported by the Lions Clubs International Foundation (LCIF).